Say it ain’t so! 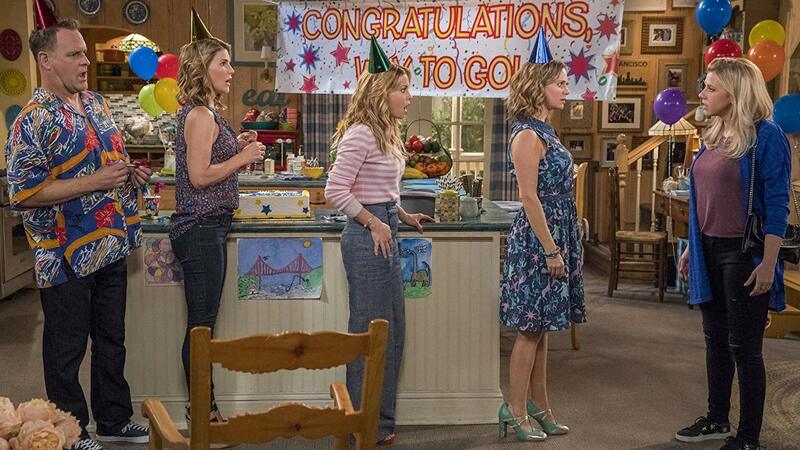 Netflix announced the final season of Fuller House on Thursday, which means that season five will be the last time we get to hang with the Tanner family — at least for now. We can always hope for another spinoff, especially since series star Candace Cameron Bure is so attached to her character, D.J. That part of her wish, at least, came true. According to the Netflix announcement, they “saved the best for last” in season five. The streaming giant did not provide a release date, though previous seasons have typically made their debut in the latter half of the calendar year. Season four premiered in December, with a Christmas episode to kick things off. Fans also saw D.J. and her on-again, off-again love interest Steve (Scott Weinger) reach a new, more solid place in their relationship in season four, and from the clips chosen for the farewell season announcement, it looks like that line will continue into season five. There’s also sure to be more family shenanigans, because that’s the whole gist of this hilarious revival. More details about Fuller House season five are sure to be released soon, but for now, it looks like it may be time to revel in the first four seasons and prepare to say goodbye to these beloved characters.